M2 at Millenia brings a unique living experience to Orlando. Offering one, two, and three bedroom mid-rise apartment homes adjacent to the Millenia Mall. Brand new apartment homes feature granite countertops, wood-like luxury vinyl flooring, modern cabinetry, walk-in closets, stainless steel finish appliances and a full-size washer and dryer set. Community amenities include a private parking garage, entertainment-centered clubhouse, business center with conference room, parcel acceptance room, entertainment room with gaming tables, wifi access, fitness center with cardio and TRX equipment, bicycle storage, outdoor dining and a Zen courtyard with a fireside lounge and waterfall. This gated community is conveniently located in the heart of the Millenia shopping and entertainment district, with convenient access to Florida's Turnpike, I4, and major area theme parks. Give us a contact us today to learn more about all that M2 at Millenia has to offer! M2 at Millenia is a pet-friendly community! Please see a community consultant for additional information. 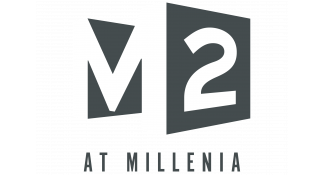 M2 at Millenia prohibits smoking and the use of tobacco products in all apartment homes and amenity areas within our community.